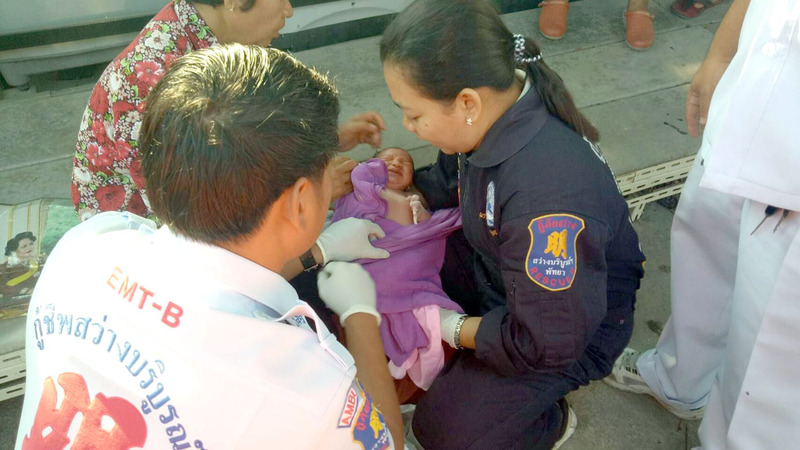 Banglamung police saved a newborn child dumped in a plastic bag behind Kratinglai Temple. The infant girl, with umbilical cord still attached, was found Feb. 28. She was transported to Banglamung Hospital. Police are investigating who the mother was and why the child was abandoned.